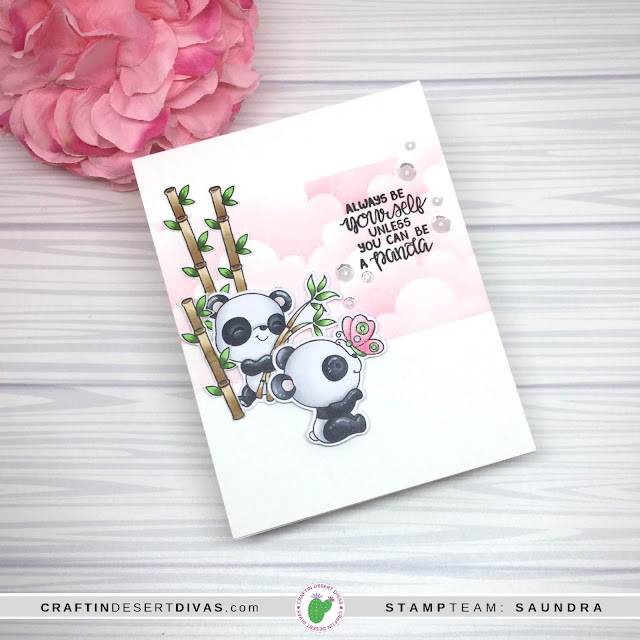 Today I have another look at Craftin Desert Divas new Panda-Bilities stamps. I adore this new stamp set. It has the cutest pandas! For my card I started with a Neenah 110# card base. I taped off a section to do some ink blending with the CDD Hill Scene 2 Stencil and some Worn Lipstick Distress Oxide Ink. I love the pink clouds and really think it gives the card a whimsical look. I cut out my pandas with my Silhouette Cameo and the Panda-Bilities SVGs then stamp stamped the shapes with the new Panda-bilities stamps. I colored them with Copic Markers and set them aside. I created the bamboo using the bamboo shoot found in CDD Panda Pals stamps (no longer available). I used some masking to create the different lengths. Once all of my elements were colored I arranged them on my card front and stamped my sentiment with Versafine Onyx Black ink. I adhered the bamboo directly to the card base and used foam squares to pop up my pandas. I finished the card off with some clear sequins and added some Clear Wink of Stella to the butterfly. 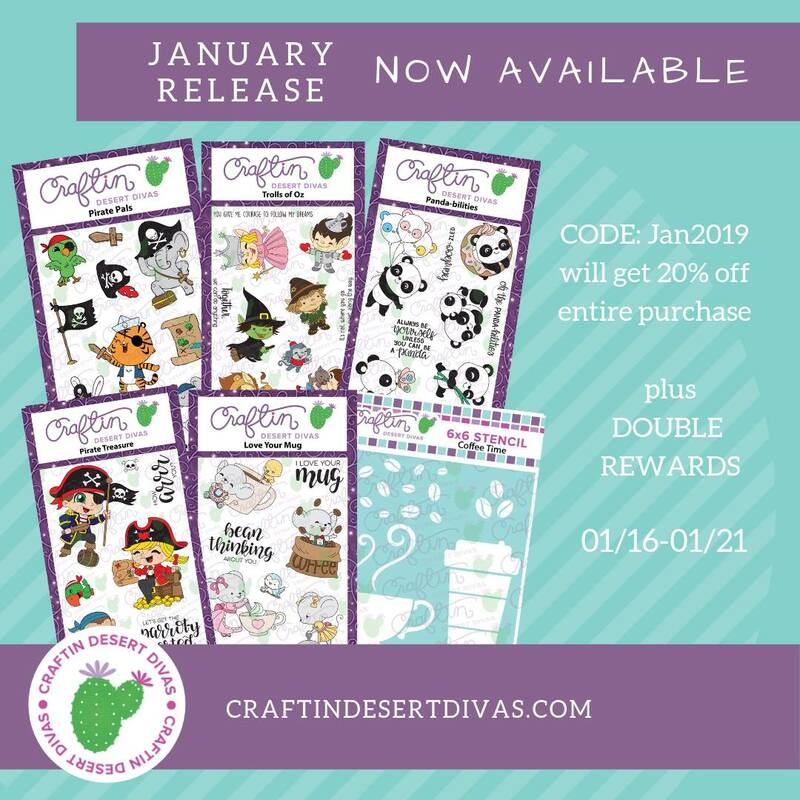 Be sure to head on over to the CDD Shop. 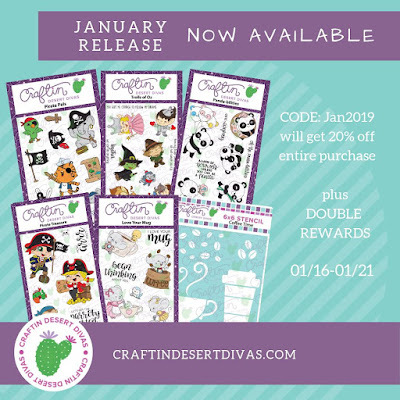 Today is the last day to get 20% off your entire purchase using code Jan2019.